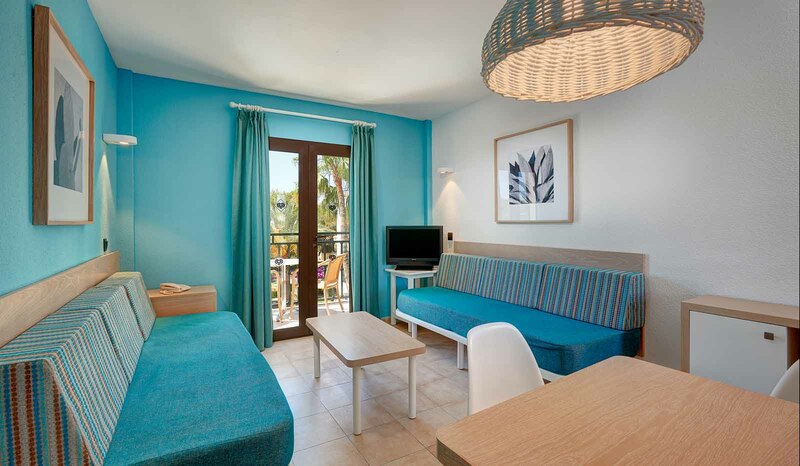 Protur Bahía Azul Apartamentos in Majorca is a beautiful 3-key apartment complex. 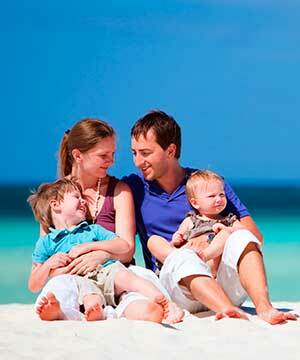 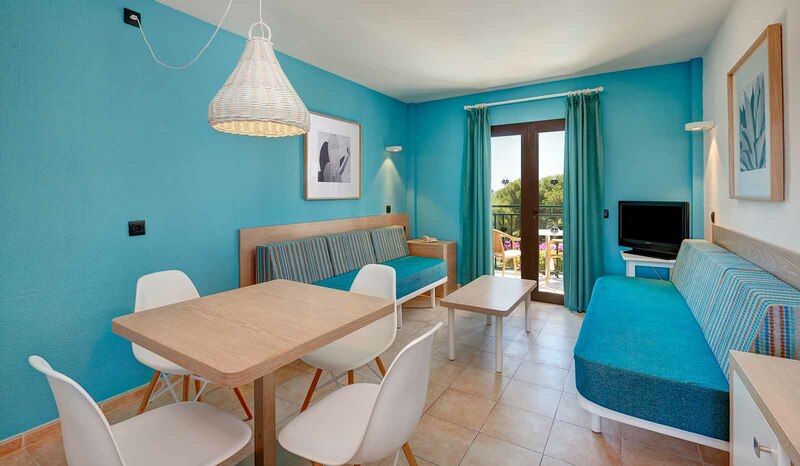 It is in a quiet area near the Cala Bona port called Son Floriana in Cala Bona, Majorca. 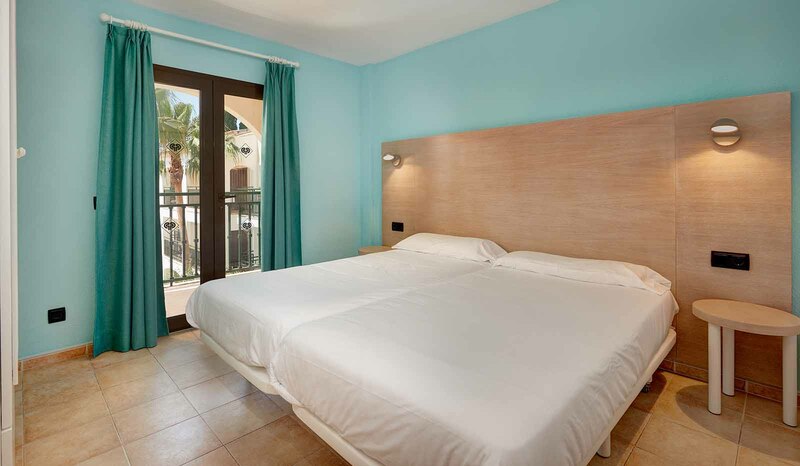 From here, you can stroll along the promenade to Cala Millor and Sa Coma. 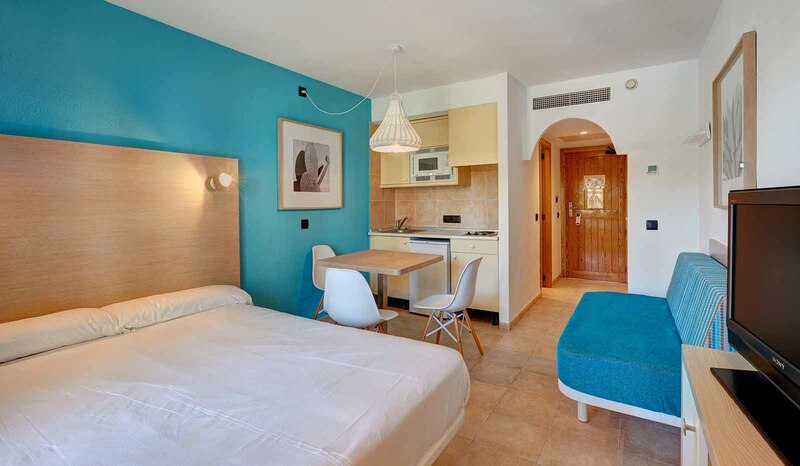 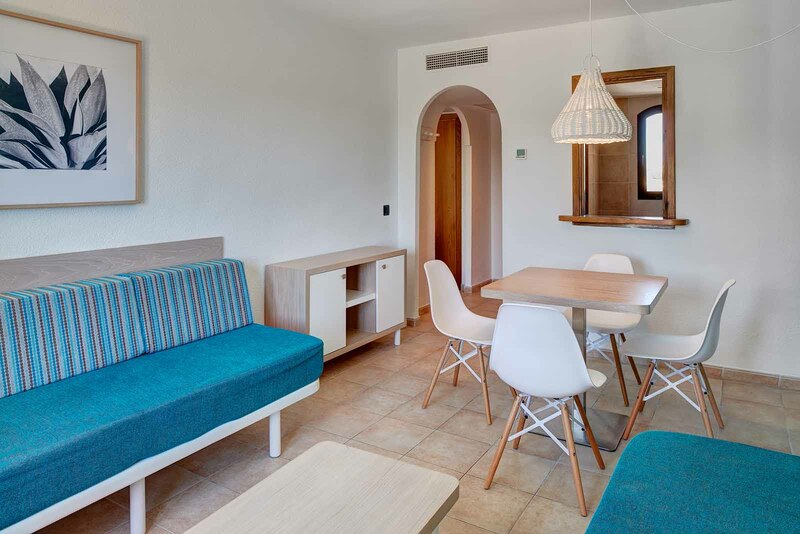 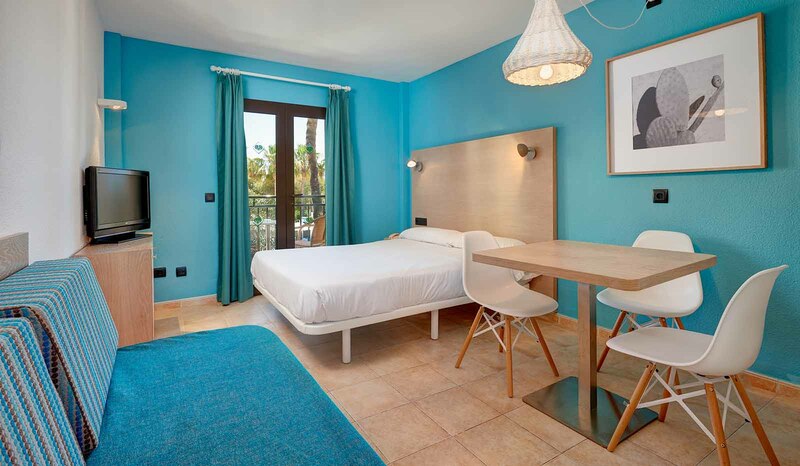 Designed for family holidays in Majorca, Protur Bahía Azul Apartamentos offers the independence of an apartment in Majorca with typical hotel services such as housekeeping and more. 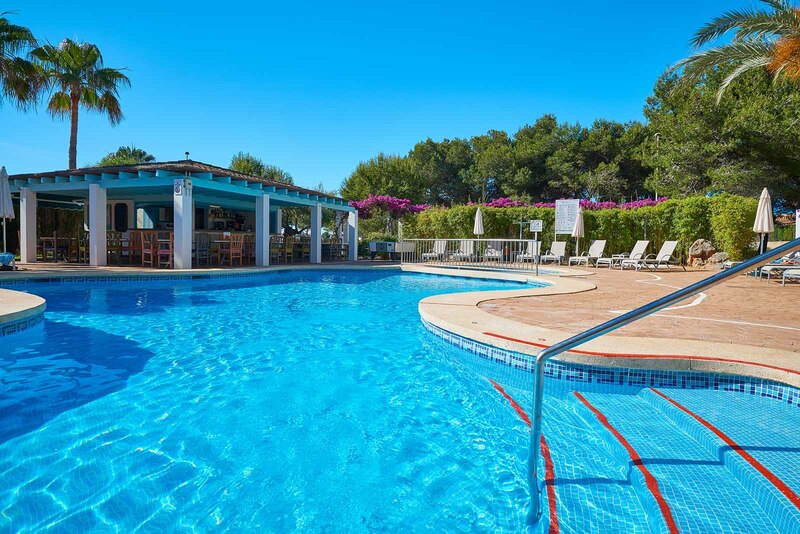 In addition, the hotel's outdoor pool has a bar that offers a snack menu at noon.